Switzerland has been a party to the New York Convention since 1965 and withdrew its reciprocity reservation in 1993. Switzerland is also a party to the Washington Convention on the Settlement of Investment Disputes between States and Nationals of Other States of 1965, as well as the Geneva Protocol on Arbitration Clauses of 1923 and the Geneva Convention on the Execution of Foreign Arbitral Awards of 1927. Switzerland has signed 115 bilateral investment treaties, three of which are not in force. International arbitration is governed by Chapter 12 of the Federal Private International Law Act of 18 December 1987 (PILA; an unofficial English version is available on www.swissarbitration.ch/rules.php). Chapter 12 applies to any arbitration if the seat of the arbitral tribunal is in Switzerland and if at least one of the parties to the arbitration had neither its domicile nor its habitual residence in Switzerland when the arbitration agreement was entered into. Domestic arbitration is governed by Part 3 of the Federal Code of Civil Procedure (CCP). The CCP entered into force on 1 January 2011. Since then, domestic arbitration proceedings are no longer governed by the Inter-Cantonal Concordat on Arbitration of 27 March 1969. The Swiss law of international arbitration is not based on the UNCITRAL Model Law, mainly for historical reasons. There are no fundamental differences between Chapter 12 of the PILA and the Model Law, although Chapter 12 is much shorter. Chapter 12 gives paramount importance to party autonomy for most issues and, in the absence of an agreement between the parties, it allows for wide discretion of the arbitral tribunal. The rules on domestic arbitration are more elaborated than those in Chapter 12 of the PILA, but they are not based on the UNCITRAL Model Law either. As regards international arbitration, the PILA sets out two mandatory requirements of procedure: the arbitral tribunal shall ensure equal treatment of the parties and their right to be heard (due process) (article 182(3) PILA). Similar mandatory requirements also apply in domestic arbitration (article 373(4) CCP). In international arbitration, the arbitral tribunal shall decide the dispute according to the rules of law chosen by the parties or, in the absence of such a choice, according to the rules of law with which the case has the closest connection. The parties may also authorise the arbitral tribunal to decide ex aequo et bono (article 187 PILA). In domestic arbitration, the CCP provides that the arbitral tribunal shall decide according to the rules of law chosen by the parties or ex aequo et bono if so authorised by the parties (article 381(1)). Absent an agreement on the applicable law or an authorisation to decide the dispute ex aequo et bono, the arbitral tribunal must decide in accordance with the law that an ordinary court would apply (article 381(2)). Disputes without an international element will in principle be decided according to Swiss law. For international disputes, the arbitral tribunal will have to resort to the conflict of laws rules in the PILA. Switzerland is a preferred venue for International Chamber of Commerce (ICC) arbitrations and some other kinds of institutional arbitrations administered by institutions based abroad. A prominent Swiss arbitration institution, the Swiss Chambers’ Arbitration Institution (SCAI), has been formed by seven major chambers of commerce (Geneva, Zurich, Basel, Bern, Ticino, Vaud and Neuchâtel). SCAI administers arbitrations under the Swiss Rules of International Arbitration (the Swiss Rules, adopted in 2004). A revised version came into force on 1 June 2012. Arbitration proceedings under the Swiss Rules may be introduced before the secretariat at the addresses of any of the Swiss Chambers, and are supervised by an arbitration court. Detailed information is available at www.swissarbitration.ch. The Swiss Rules are a modernised version of the UNCITRAL Arbitration Rules (1976). The most important changes relate to the consolidation of arbitration proceedings (article 4), the procedural timetable (article 15(3)), jurisdiction over set-off defences (article 21(5)), the expedited procedure (article 42) and emergency relief (article 43). The parties are free to choose their arbitrators and determine a seat outside Switzerland. Fees are calculated on the basis of an ad valorem scale, but also taking into account the complexity of the matter, the time spent by the arbitrators and other relevant circumstances (article 39). Another prominent Swiss-based arbitration institution is the Court of Arbitration for Sport (CAS), based in Lausanne. CAS provides services in order to facilitate the settlement of sports-related disputes through arbitration or mediation. CAS arbitrations are governed by the Code of Sports-related Arbitration and Mediation Rules (the CAS Code). Detailed information is available at www.tas-cas.org. The Arbitration and Mediation Center of the World Intellectual Property Organization (WIPO), based in Geneva, offers dispute resolution services with a particular focus on disputes involving intellectual property and internet domain name disputes. It administers commercial arbitrations under the WIPO Arbitration Rules. In international arbitration, any dispute concerning an economic interest may be the subject matter of an arbitration (article 177(1) PILA), which is a very wide definition of arbitrability (disputes, inter alia, in intellectual property, competition law and securities transactions, and inter-company disputes are therefore arbitrable). Debt enforcement and bankruptcy cannot be ordered by arbitral tribunals, but the underlying claims remain arbitrable. In domestic arbitration, arbitrability is limited to rights of which the parties may freely dispose (article 354 CCP), which may limit the arbitrability of employment disputes. In international arbitration, an arbitration agreement is valid as regards its form if made in writing, by telegram, telex, telecopier or any other means of communication permitting it to be evidenced by a text (article 178(1) PILA). The rule for domestic arbitrations is similar: the arbitration agreement must be made in writing or any other means allowing it to be evidenced by a text (article 358 CCP). In both instances, a written document signed by all parties concerned is not required. Arbitration agreements may be contained in the by-laws of a company or in general terms and conditions. There are no particular formal requirements in order for state entities to enter into arbitration agreements. Where a party does not object to the jurisdiction of the arbitral tribunal in a timely manner, it will be barred from raising such objections at a later stage, including objections based on the formal invalidity of the arbitration agreement. An arbitration agreement is valid and enforceable if it conforms either to the law chosen by the parties, or to the law governing the subject matter of the dispute, in particular the law governing the main contract, or if it conforms to Swiss law (article 178(2) PILA). The doctrine of severability applies in Swiss law: the validity of the arbitration agreement cannot be objected to on the ground that the main agreement is invalid (article 178(3) PILA; article 357(2) CCP). The avoidance, rescission, termination, etc, of a contract will, in principle, not result in the arbitration clause contained in that contract becoming invalid. However, there may be instances in which both the main contract and the arbitration agreement are subject to the same grounds of invalidity. Legal incapacity of a party is, in principle, determined by the law of the domicile or registered office of that party and may be a ground of invalidity of the arbitration agreement. If a party to the arbitration agreement is a state or state-owned entity, it cannot rely on its own domestic law in order to deny its capacity to enter into the arbitration agreement (article 177(2) PILA). The death of a party will usually not cause the arbitration agreement to become invalid or inoperative. After insolvency proceedings have been commenced, the debtor cannot validly enter into an arbitration agreement in respect of claims falling in the estate. Third parties or non-signatories may be bound by an arbitration agreement under general principles of contract law. A principal will be bound by the arbitration agreement entered into by his or her agent on his or her behalf. Arbitration agreements will generally be transferred to legal successors such as heirs, merged companies, assignees and transferees. Third-party beneficiaries enforcing their claims will be bound by arbitration agreements entered into between the parties. Finally, trustees in bankruptcy or the executors of a will are bound by arbitration agreements concluded by the debtor or deceased respectively. Guarantors and sureties are not bound by the terms of the main contract and, therefore, not bound by any arbitration agreement contained in that contract if the agreements concerned are sufficiently independent. The Swiss Federal Supreme Court held that interference in the performance of a contract by a third party may cause the third party to be bound by the arbitration agreement. The piercing of the corporate veil doctrine would also apply in principle if the requirements are met. Neither Chapter 12 of the PILA (international arbitration) nor Part 3 of the CCP (domestic arbitration) contain any provisions in respect of third-party participation. Arbitral tribunals sitting in Switzerland would first have to determine whether the third party is bound by a compatible arbitration agreement. In the absence of a compatible arbitration agreement (or an agreement between all the parties involved), the interest of the third party in the outcome of the dispute would not per se be a ground for joinder. The Swiss Rules contain a dedicated provision as regards joinder and third-party notice (article 4(2)). Swiss courts have not endorsed the ‘group of companies’ doctrine to date. Swiss law is based on the concept that different legal entities are independent legal subjects. There is no automatic extension of the arbitration agreement to other entities for the mere reason that they are part of the same group of companies. In 1996, the Swiss Federal Supreme Court rejected the extension of an arbitration agreement to entities of the same group under both the ‘piercing of the corporate veil’ and the group of companies concepts. There are no specific requirements for multiparty arbitration agreements and no case law comparable to the French Dutco decision. Modern arbitration rules such as the ICC Rules of Arbitration (2012) or the revised Swiss Rules (2012) contain specific provisions dealing with multiparty situations, in particular the situation where the co-respondents (or co-claimants) cannot agree on the same party-appointed arbitrator. The Swiss law of arbitration provides no restrictions as to who may act as an arbitrator, and arbitrators need not be selected from any list. Judges are, in principle, allowed to act as arbitrators. One exception exists for domestic arbitration proceedings with regard to disputes involving tenancy and lease of residential property: only the conciliation authority may be appointed as arbitral tribunal (article 361(4) CCP). The conciliation authority is an official body set up by the CCP. Party autonomy is the overarching principle for arbitrations having their seat in Switzerland. Contractually stipulated requirements for arbitrators should, therefore, be complied with. The parties are not under a duty to provide reasons for any such requirements. Requirements of nationality are certainly not regarded as problematic. Even though Swiss courts have not yet been called upon to decide a challenge based on non-discrimination regulations, requirements based on gender or religion (which are fairly rare in practice) are likely to be declared unobjectionable. 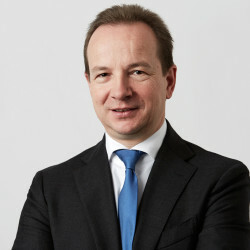 If the dispute is referred to the CAS, the arbitrators must mandatorily be selected from a closed list of approximately 380 arbitrators. There are no specific requirements as regards arbitrators’ professional occupations (save when provided otherwise in the arbitration agreement). Anyone may sit as an arbitrator in Switzerland. Most of the appointed arbitrators are practising lawyers. Law professors are also frequently appointed, especially when they have concrete experience in arbitration. Switzerland is active in promoting gender diversity in institutional appointments. SCAI (see question 7), for example, has committed to support fair representation and gender equality. In 2015, it signed the ‘Equal Representation in Arbitration Pledge’. Over 45 per cent of the arbitrators appointed by that institution are women. In international arbitration, failing provisions in the arbitration agreement or in the rules of arbitration referred to by the parties, the court at the place of arbitration has jurisdiction to appoint the arbitrators and shall do so by applying by analogy the provisions in point of the CCP (article 179(2) PILA). Under article 360(1) of the CCP, failing an agreement by the parties on the number of arbitrators, the number shall be three. the appointed arbitrators fail to agree on the chairperson within 30 days following their nomination (article 362 CCP). Under the Swiss Rules, if the parties did not agree on the number of arbitrators, the decision will be taken by the court (article 6(1)). As a rule, the matter will be referred to a sole arbitrator, unless the circumstances warrant a three-member arbitral tribunal (article 6(2)). If the parties fail to nominate an arbitrator, or fail to agree on a sole arbitrator or on the presiding arbitrator, such appointments will be made by the court (articles 7(3) and 8(2)). In multiparty proceedings, where a group of claimants or a group of respondents fails to designate an arbitrator, the court may appoint all three arbitrators and shall specify the presiding arbitrator (article 8(5)). The CAS Code contains similar provisions. In essence, failure by a party to nominate an arbitrator will cause the president of the relevant CAS division to make such appointment (articles R40.2, R53 and R54). circumstances exist that give rise to justifiable doubts as to his or her independence or impartiality (article 180(1) PILA). The same grounds are set out in article 367(1) of the CCP for domestic arbitration. Arbitrators are under an obligation to disclose any circumstances that give rise to doubts as to their impartiality or independence. Any ground for challenge must be notified to the arbitral tribunal and the other party without delay (failure to do so would amount to a waiver of the right to challenge the arbitrator). In the event of a dispute and to the extent that the parties have not determined the procedure for the challenge, the court having jurisdiction at the seat of the arbitration shall make the final decision (article 180(3) PILA). Swiss courts tend to apply a strict standard when called upon to decide whether an arbitrator is biased. Arbitrators shall be removed or replaced (eg, in cases of illness or death) in accordance with the agreement of the parties. In the absence of such an agreement, the matter may be referred to the court where the arbitral tribunal has its seat: the court shall apply by analogy the provisions in point of the CCP (see below) concerning the removal or replacement of arbitrators (article 179(1) and (2) PILA). In domestic arbitration, the provisions on the challenge, removal or replacement of arbitrators are more detailed (articles 367 to 371 CCP, which apply by analogy to international arbitration). If the parties did not agree on any specific procedure with respect to challenges of an arbitrator, a request for challenge must first be made to the challenged arbitrator. If such arbitrator refuses to step down, the party having made the request may file a challenge before the court of competent jurisdiction at the seat of the arbitral tribunal (article 369 CCP). In international arbitration, this court’s decision is final (article 180(3) PILA). In domestic arbitration, the court’s decision on the challenge may be reviewed in setting aside proceedings against the award (article 369(5) CCP). If an arbitrator is successfully challenged, resigns or is removed, he or she will be replaced pursuant to the procedure applied for his or her appointment. The Swiss Federal Supreme Court held that the IBA Guidelines on Conflicts of Interest in International Arbitration, although being an important working tool, do not constitute a binding instrument comparable to legislation. Under Swiss law, the parties and arbitrators are bound by an arbitral contract whereby the arbitrators shall adjudicate upon the dispute with due care, in person, and impartially; in return, the arbitrators are entitled to remuneration. The Swiss Federal Supreme Court held that all members of the arbitral tribunal are subject to the same degree of independence and impartiality, including the party-appointed arbitrators. The Swiss law of arbitration does not contain any provision regarding the arbitrators’ liability. The majority view of commentators is that arbitrators may be held liable only in the case of wilful intent or gross negligence. When certain arbitration rules apply (eg, the Swiss Rules), arbitrators benefit from an express exclusion of liability - they are only liable for damages if they have breached their contractual duties in an intentional or grossly negligent manner (article 45(1) Swiss Rules). the arbitral tribunal cannot be appointed for reasons that are obviously attributable to the respondent in the arbitration (article 7 PILA). The arbitral tribunal shall decide on its own jurisdiction (competence-competence principle) in general by a preliminary decision or, in certain circumstances, in the final award. Any plea of lack of jurisdiction must be raised prior to any defence on the merits. According to an amendment to the PILA in force since 1 March 2007, the arbitral tribunal shall make its decision on jurisdiction even if an action on the same matter between the same parties is already pending before a state court or another arbitral tribunal, unless there are serious grounds to stay the proceedings (article 186(1-bis) PILA). An award on jurisdiction may be sought to be set aside before the Swiss Federal Supreme Court, unless the parties have expressly excluded such ground for challenge (article 190(2)(b) PILA). If the place of arbitration has not been determined by the parties or by the arbitral institution designated by the parties, it shall be fixed by the arbitral tribunal (article 176(3) PILA; article 355(1) CCP). The parties’ failure to determine the place of arbitration may cause difficulties for the constitution of the arbitral tribunal if the assistance of local courts is needed (see question 24). The language of the proceedings shall also be determined by the arbitral tribunal failing an agreement of the parties. Swiss law does not impose formal requirements for a notice of arbitration. Legal provisions only exist to determine when the arbitration proceedings are pending (article 181 PILA and article 372(1)(a) CCP). In the absence of an agreement as to how to initiate the proceedings, the claimant would appoint its party-appointed arbitrator and request the respondent to do the same. Assistance from the court of competent jurisdiction may be sought for the purpose of constituting the arbitral tribunal. Under the Swiss Rules, arbitral proceedings are initiated by submitting a notice of arbitration to the secretariat at the address of one of the Swiss chambers. The notice of arbitration shall be submitted in as many copies as there are other parties, together with an additional copy for each arbitrator and one copy for the secretariat. The minimum content of such notice is described in article 3(3) of the Swiss Rules. Signature is not required but standard in practice. Hearings are usually held in practice, but there is no such requirement under either the Swiss law of arbitration (both international and domestic) or the Swiss Rules. The arbitral tribunal must follow the procedural rules agreed upon by the parties, directly or by reference to arbitration rules. Where the parties have not determined the procedure, the arbitral tribunal shall determine it to the extent necessary. In general, there are no restrictions as to admissible types of evidence in international arbitration (eg, documents, witnesses, experts, whether called by a party or appointed by the arbitral tribunal, and inspection; the arbitral tribunal also has wide discretion as to the admissibility and weight of witness evidence by party representatives). Although article 184 of the PILA provides that the evidence shall be taken by the arbitral tribunal, it very much depends on the arbitrators how the taking of evidence is conducted. 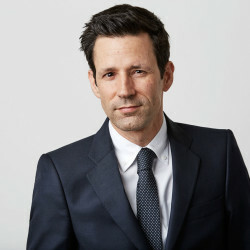 No stringent requirements are fixed in Swiss law and wide discretion is left to tailor the procedure according to the specific needs of the parties (standard practice in international arbitration usually includes written witness statements, examination of witnesses by counsel and questions by the arbitral tribunal). It is not infrequent that arbitrators sitting in Switzerland seek guidance from (or even directly apply) the IBA Rules on the Taking of Evidence in International Commercial Arbitration. If the party concerned does not voluntarily comply with provisional or conservatory measures ordered by the arbitral tribunal, the arbitral tribunal may request the assistance of the court of competent jurisdiction (article 183(2) PILA; article 374(2) CCP). The arbitral tribunal, or a party with the consent of the arbitral tribunal, may request the assistance of the court at the place of arbitration for the taking of evidence (article 184(2) PILA; article 375(2) CCP). The court at the place of arbitration also has jurisdiction for any further judicial assistance (article 185 PILA). Interventions of the Swiss courts are very limited in international arbitration. This is one of the main features of Chapter 12 of the PILA, which favours party autonomy and grants broad powers to the arbitrators. Procedural orders made by an arbitral tribunal cannot be challenged before a Swiss court. The Swiss law of arbitration (both international and domestic) is silent on confidentiality, and the extent to which arbitration proceedings are per se confidential remains unsettled. The arbitration agreement or any other agreement between the parties, as well as the arbitration rules chosen by the parties, may contain provisions on confidentiality. Under the Swiss Rules (subject to a few exceptions and unless the parties expressly agree otherwise in writing), the parties, arbitrators, tribunal-appointed experts, the secretary of the arbitral tribunal, the members of the board of directors of SCAI, the members of the court and the secretariat, and the staff of the individual chambers undertake to keep confidential all awards and orders as well as all materials submitted by a party in the framework of the arbitration proceedings. In both international and domestic arbitration, courts have non-exclusive jurisdiction to order any provisional or conservatory measures before and after arbitration proceedings have been initiated. The Swiss law of arbitration is silent on the issue of emergency arbitration proceedings. Under the revised Swiss Rules (2012), the parties may seek interim relief before an emergency arbitrator (article 43 Swiss Rules). In both international and domestic arbitration, unless the parties have agreed otherwise, the arbitral tribunal may order provisional or conservatory measures at the request of a party (article 183(1) PILA; article 374(1) CCP). Types of interim relief are not limited by law, although the admissibility of some measures is debated (eg, attachment of assets, astreintes or penal sanctions in the case of non-compliance with the order of the arbitral tribunal). Requirements for court assistance are described in question 27. The arbitral tribunal or the court may make the granting of interim relief subject to the provision of appropriate security (article 183(3) PILA; article 374(3) CCP). Chapter 12 of the PILA (international arbitration) is silent on security for costs. According to some precedents and academic writings, arbitrators sitting in Switzerland have the power to grant security for costs, but only in very limited circumstances (in practice, security for costs is rarely granted). Article 379 of the CCP (domestic arbitration) provides that if the claimant appears to be insolvent, the arbitral tribunal may order security for costs. Neither the Swiss law of arbitration nor the Swiss Rules contain any specific provisions serving as a basis for an arbitral tribunal or SCAI to sanction a party or its counsel in case of ‘guerrilla tactics’. However, an arbitral tribunal may take into consideration the conduct of the parties in the proceedings (including counsel) when deciding on the allocation of the costs of the arbitration. The arbitral tribunal’s jurisdiction to sanction counsel directly appears uncertain. In international arbitration, the arbitral award shall be made in conformity with the procedure and form agreed by the parties. In the absence of such an agreement, the award shall be made by a majority decision or, in the absence of a majority, by the presiding arbitrator alone. The signature of the presiding arbitrator is sufficient (article 189 PILA). The rules in domestic arbitration are similar. The award is made by a majority decision unless the parties agreed otherwise (article 382(3) CCP). In the absence of a majority decision, the award is made by the chairperson (article 382(4) CCP). The signature of the presiding arbitrator is sufficient (article 384(2) CCP). The issue of dissenting opinions is not addressed in the Swiss law of arbitration. The Swiss Federal Supreme Court held that dissenting opinions are not part of the arbitral award. They do not affect the findings or the operative part of the award. In international arbitration, the award shall be made in writing, reasoned, dated and signed (at least by the presiding arbitrator) (article 189(2) PILA; more detailed requirements apply in domestic arbitration - see article 384(1) CCP). The Swiss law of arbitration does not require the award to be rendered within a certain time limit. The Swiss Rules are also silent on the matter, except if the dispute is referred to the expedited procedure, in which case the award shall be rendered within six months from the date on which the secretariat transmitted the file to the arbitral tribunal. The operative part of CAS awards in appeal proceedings shall be notified to the parties three months after the transfer of the file to the panel; this time limit may be extended by the president of the Appeals Division (article R59(5) CAS Code). The date of the award is not decisive for any time limits. The award becomes final when it is notified to the parties (article 190(1) PILA; article 387 CCP). The 30-day time limit to challenge the award starts running from that notification. Unless the parties have agreed otherwise, the arbitral tribunal may make interim, partial and final awards (articles 188 to 189 PILA; article 383 CCP), including an award by consent if so requested (article 385 CCP). The possible types of relief are not limited by Swiss law. They mainly depend on the law applicable to the merits of the case. In the case of settlement or other circumstances giving rise to the withdrawal of the claims submitted to arbitration, the arbitral tribunal may make a termination order to declare that the arbitration proceedings are discontinued. Terminating the proceedings without an award requires, in principle, that the parties are consulted on such process. Rules of arbitration may provide for how proceedings can be terminated by means other than an award. Swiss law is silent on the assessment and allocation of costs in arbitration. The parties may make an agreement on that point, in either the arbitration agreement or by reference to arbitration rules. Failing such an agreement, the arbitral tribunal has wide discretion as to costs. As a rule, arbitrators tend to follow the principle of ‘costs follow the event’ and consider that reasonable legal costs are recoverable, at least in part. Interest may be awarded in accordance with the law applicable to the merits of the case and other rules and principles that the arbitral tribunal may deem appropriate. In Swiss law, the legal interest rate is 5 per cent per year. Although Chapter 12 of the PILA is silent on interpretation and correction of awards, this gap has been filled by the Swiss Federal Supreme Court. The arbitral tribunal has the power to correct clerical errors of its own motion and may correct or interpret an award upon request of a party. No specific time limits apply in Swiss law (such time limits may nevertheless be provided for in arbitration rules, such as the Swiss Rules). Undue delays in requests for correction or interpretation may be taken into account by the arbitral tribunal. Domestic arbitration provisions are more detailed. A request for interpretation and correction must be made before the arbitral tribunal within 30 days following the discovery of the mistake or the passages to be interpreted, but at the latest within one year following the notification of the award (article 388 CCP). the award is incompatible with public policy. In international arbitration, the parties may exclude all setting aside proceedings (or limit such proceedings to one or several of the grounds set out in article 190(2) PILA) by an express statement in the arbitration agreement or by a subsequent agreement in writing, provided that none of the parties has its domicile, habitual residence or place of business in Switzerland (article 192(1) PILA). In domestic arbitration, setting aside proceedings must also be brought before the Swiss Federal Supreme Court, unless the parties agree to have setting aside proceedings before the court of competent jurisdiction at the place of arbitration (articles 389 and 390 CCP). The grounds to set aside an award are broader than for international awards (see article 393 CCP). Unless otherwise agreed between the parties, there is only one level of appeal (ie, setting aside proceedings before the Swiss Federal Supreme Court (see question 43)). Statistics show that the Swiss Federal Supreme Court would normally render its decision within four to six months, which is a relatively short period. The petitioner in setting aside proceedings will be required to pay an advance on costs based on an ad valorem scale depending on the amount in dispute. The general rule before the Swiss Federal Supreme Court is costs follow the event. In addition to the court’s fees, the successful party will in principle be awarded legal costs that are also determined pursuant to an ad valorem scale depending on the amount in dispute. Domestic awards are enforced in all Swiss cantons in the same way as a judgment made by a Swiss court. Enforcement of foreign arbitral awards in Switzerland is governed by the New York Convention on the Recognition and Enforcement of Foreign Arbitral Awards (the New York Convention; article 194 PILA) (also if the arbitral tribunal had its seat in a non-member state). Where the prevailing party has been awarded a sum of money, the award is to be enforced within the framework of debt collection proceedings in accordance with the Federal Debt Collection and Bankruptcy Act and the applicable rules of the CCP. The party awarded a sum of money can commence debt collection proceedings by requesting the issuance of a summons to pay from the competent debt collection office. When the summons has been received by the debtor, he or she can either pay the requested amount within 20 days or object within 10 days. If the debtor objects to the summons, the creditor will have to file an action in summary proceedings with the competent cantonal state court in order to set aside the objection and have the foreign arbitral award recognised and declared enforceable in Switzerland. If the creditor in his or her request only requests to set aside the objection, the court will decide the recognition and enforceability of the foreign arbitral award incidentally (ie, the recognition and declaration of enforceability will not be part of the decision). If the creditor wants to have the foreign arbitral award recognised and declared enforceable in the judgment, a separate motion is required in the request. The cantonal state court’s decision is subject to appeal to the upper state court of the canton where the debt collection proceedings have been commenced. The decision of the upper cantonal state court is subject to appeal before the Swiss Federal Supreme Court. Once the objection is set aside, the creditor can proceed with the debt collection proceedings and request the seizure and liquidation of the debtor’s assets. The Swiss court of competent jurisdiction would examine the requirements of the New York Convention in such proceedings if the award to be enforced is a foreign award. Switzerland has a long tradition of arbitration-friendly courts. This is also reflected in the manner in which such courts look upon enforcing awards. There is no limitation period for the enforcement of arbitral awards. Swiss law considers limitation periods as a substantive issue. Consequently, courts may only refuse to enforce an arbitral award on the ground that the claim is time-barred under the applicable substantive law. Recognition and enforcement of foreign arbitral awards are exclusively governed by the New York Convention (article 194 PILA). If a court of competent jurisdiction at the place of arbitration set aside an award, Swiss courts may refuse recognition and enforcement under article V(1)(e) of the Convention. Neither the Swiss law of arbitration nor the Swiss Rules contain specific provisions on the enforcement of orders by emergency arbitrators. These orders would in principle be treated as standard orders on interim relief issued by an arbitral tribunal. If a party does not comply with such orders, article 183(2) of the PILA and article 374(2) of the CCP provide that assistance may be sought from the competent state courts. Costs depend on the canton where enforcement is sought and the specific defences raised against enforcement. Whereas the rules of civil procedure have been unified in one code (the CCP), each canton fixes the costs for the proceedings. Swiss procedural rules clearly distinguish between the stage where the facts are presented to the court and the subsequent taking of evidence (at hearings). The admissibility of evidence aimed at proving facts that have not been alleged in the briefs could be put into question. In court litigation, production of documents is possible only within narrow boundaries. Discovery does not exist in court litigation and, even in international arbitration, most Swiss arbitrators have no tendency towards US-style discovery. Written witness statements are common practice in international arbitration. Party officers cannot testify as witnesses proper in court litigation, but arbitrators may allow for more flexibility in international arbitration (see question 26). A Swiss arbitrator would also be ready and willing to act as a settlement facilitator if the parties so wish. Foreign counsel appearing in arbitrations in Switzerland are not bound by the local professional and ethical rules. Swiss-qualified lawyers are in principle bound by the Swiss Code of Conduct, but there are rules that do not apply to counsel acting in arbitration. The IBA Guidelines on Party Representation in International Arbitration are extremely detailed if compared with the Swiss Code of Conduct or best practices in Switzerland. Whereas a number of provisions in the Guidelines are generally accepted rules of conduct in Switzerland, the Swiss arbitration community expressed general concerns about the need for such Guidelines and more detailed concerns over some provisions. There are no regulatory restrictions in Switzerland relating to third-party funding, and there is currently no intention to regulate this element. Switzerland is a well-known pro-arbitration jurisdiction, which is characterised by the efficiency of its arbitration laws and practice. There are no adverse particularities of which a foreign practitioner should be aware. Neither a foreign arbitrator nor the foreign counsel of a party in arbitration proceedings taking place in Switzerland need to be a lawyer or national or resident of Switzerland. The foreign arbitrators or counsel do not have to pay Swiss taxes on their fees. Local ethical rules do not generally apply in international arbitration. On 24 October 2018, the Swiss Federal Council (federal government) submitted to Parliament the expected bill for the light revision of Chapter 12 of the PILA (of 1987) (which is mainly based on the draft bill that had been subject to a consultation process at various levels). In the bill, the Federal Council proposed to modernise the provisions of Chapter 12 by incorporating certain elements arising from cases decided by the Swiss Supreme Court - in particular, where Chapter 12 is silent on those issues - and to reinforce parties’ autonomy. language of the setting aside proceedings: according to articles 54 and 77 of the Swiss Supreme Court Act, an application to set aside an award must be brought before the Swiss Supreme Court in one of the country’s official languages (German, French, Italian or Romansh). As proposed in the bill, the parties would be allowed to file submissions before the Supreme Court in English, but the Supreme Court’s decision would still be issued in one of Switzerland’s official languages. It is unknown at this point when the bill will be approved or amended by Parliament, and when the revised law will enter into force. Although the proposed changes in the bill are minor and intended to be uncontroversial, the standard process before the legislature (two chambers) is likely to take one to two years.